An Elk Grove man is being held at the Sacramento County Jail after he allegedly fled a pedestrian-involved vehicle accident. Shortly after 7 p.m. on Tuesday, January 24, Isiah Demarco Porter (pictured above) was operating a vehicle near near the 8400 block of Elk Grove-Florin Road that allegedly stuck a pedestrian who was walking across the street. Instead of stopping, Porter reportedly did not stop to render assistance to the victim who suffered visible injuries. 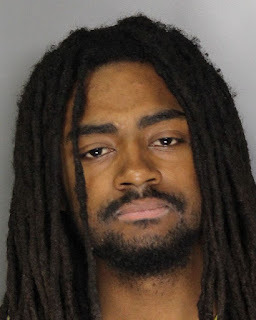 Elk Grove Police arrested Porter after the incident and booked in the the county jail and is being held on $25,000 bail for driving without a license and hit and run felony charges. Arraignment is scheduled for Thursday, January 26.